The latest version of image processing software DxO Optics Pro has been released, with Pro 7.1 now available to download. Featuring enhanced stability and faster processing speed, it also launches with a special 33% discount which is valid until Christmas Eve 2011. More than 150 DxO Optics Modules have been added to the DxO Optics Pro, which means that the package now includes more than 5,000 modules. Support for Sigma, Tamron, Olympus, Panasonic, Sony, Zeiss and Minolta lenses for several manufacturers' cameras have now been included. The list of cameras that are compatible with DxO Optic's Pro has now been extended to include the Sony Alpha 65, the Panasonic G3 and the Olympus PEN E-P3, E-PL3 and E-PM1. OpenCL technology with Windows is now included, and it's that, along with optimisation of numerous algorithms that allows DxO Optics Pro 7 to process batches of photos up to 4 times faster than previous versions. Version 7.1 includes even more enhancements to make it faster and more efficient in certain configurations. 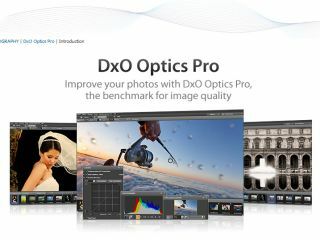 DxO Optics Pro 7.1 for Windows and Mac UK price is £89 for the standard edition, or £179 for the elite edition, rising to £135 and £269 once the offer expires on December 24th. Users of Pro 7 can upgrade for free.